We’re taking a break this Season (2019) and won’t be booking any events this year. Thank you for all your support and see you again soon! We are your oyster caterers for the Bay of Quinte and Prince Edward County region. We provide a fully stocked Oyster Bar for private and public events. We also pop up at events around the County and Belleville for your oyster eating enjoyment. Come and find us! We are currently booking for catering & private events for 2018. Please see catering details below or contact us for details on future events. What better way to jazz up a party than to bring in some oysters. We provide you a unique oyster catering experience for your private or corporate event. We’ll bring our mobile oyster bar to your event, fully stocked with fresh oysters and all the necessary fixings, including lemons & homemade sauces. Let us come to your event with a fully stocked oyster bar and oyster enthusiast to shuck up some tasty bivalves and entertain your guests. We take the pressure off you by hosting a part of your night. Leave your guests in our hands, we’ll take good care of them. Book us for your next event; weddings, birthday parties, bachelor or bachelorette parties, corporate events, and more. Please send us a line for a quote. We serve all of Prince Edward County, Trenton, Belleville & Quinte West. 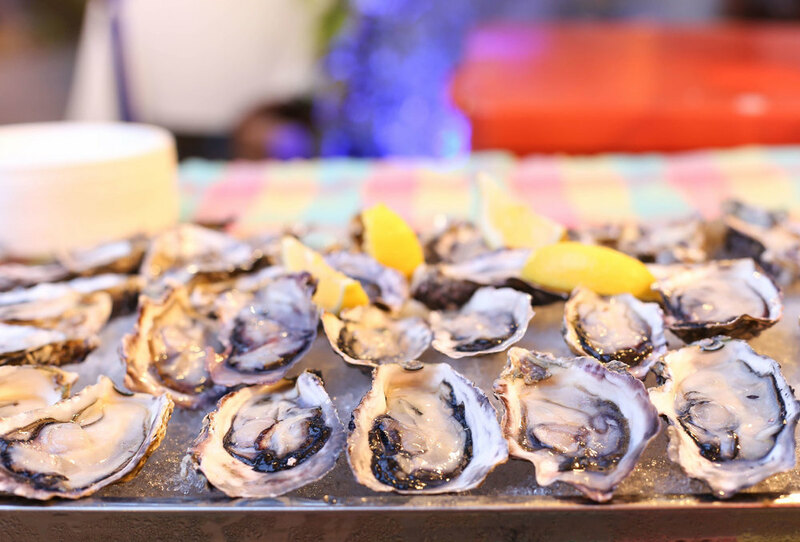 A wine tasting and oyster eating event that we bring to your door. Plan a party with a few friends and we’ll bring our wine expert who will wow you with some local Prince Edward County wines that perfectly pair with our fresh shucked oysters. We'll serve them all together for a party your guests will be drooling over. Leave the hosting to us, as we impress your guests with our oyster shucking & wine pouring skills. And we’ll probably tell you some stuff about the wine & oysters too. Pre-shucked oyster platters can be ordered for pick up with advance notice. Oysters are shucked and assembled on a large serving tray, ready to serve to your guests with accompanying sauces and lemons. The Shore Oyster Co. offers over 15 years of experience and dedication to the oyster and seafood industry. Our team is excited to pass along our passion and enthusiasm with you and your guests. 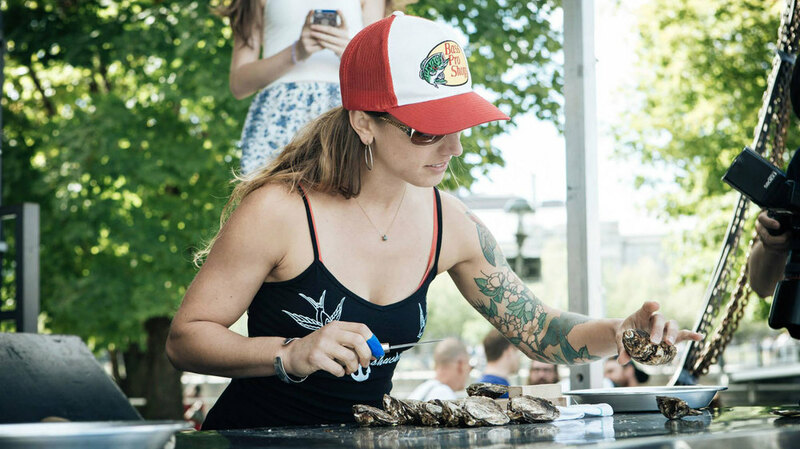 Sam Ravenda learned how to shuck oysters while studying cooking in her hometown of Montreal. After working for years in the busy restaurant scene of Toronto, she landed a job at one of her favourite restaurants, Oyster Boy. That’s where the love affair with oysters and all things from the sea really took shape. When she wasn’t serving regulars in the popular Oyster bar, you could find her taking part in shucking contests, as she secured herself a place within the Oyster shucking community. Her appreciation & love for wine brought her to Prince Edward County to work at Norman Hardie winery. Now she’s bringing her love for oysters and shellfish to the County and the greater Quinte area.